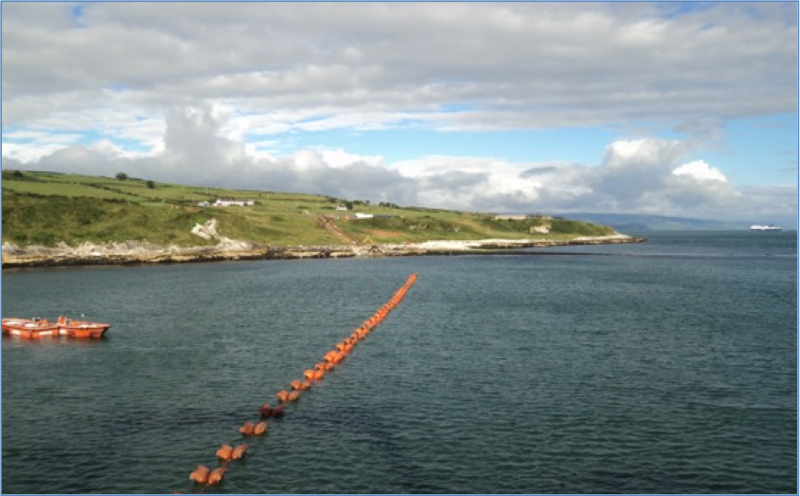 From 2010 onwards the Moyle Interconnector experienced a number of faults on its low voltage cables, leaving it only able to operate reliably at half capacity from June 2012. 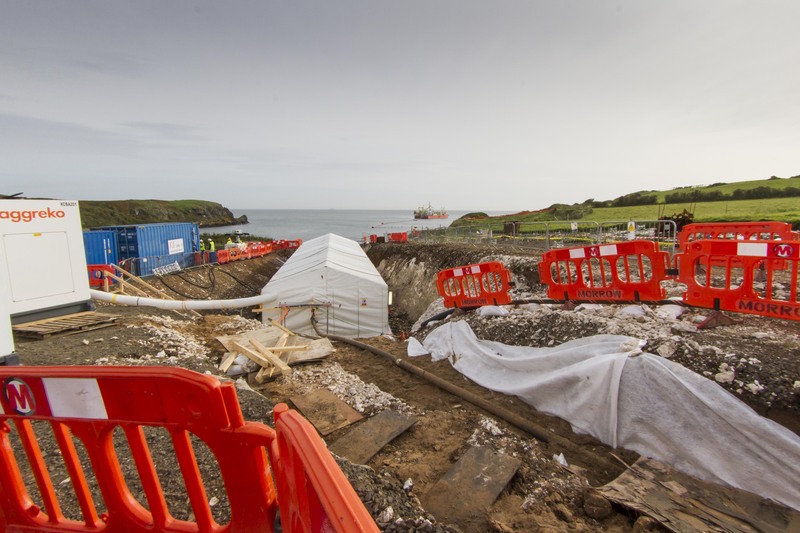 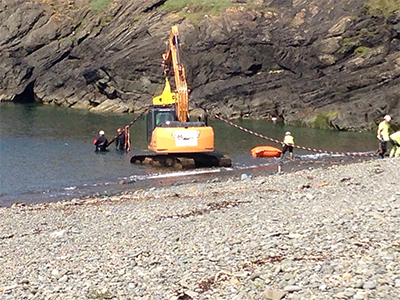 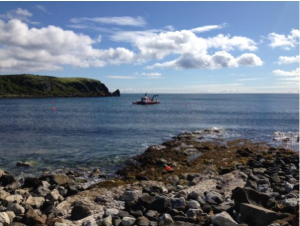 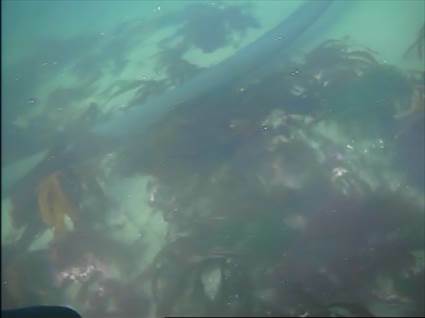 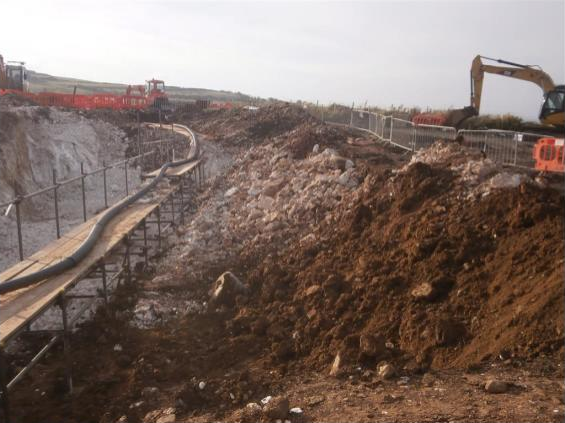 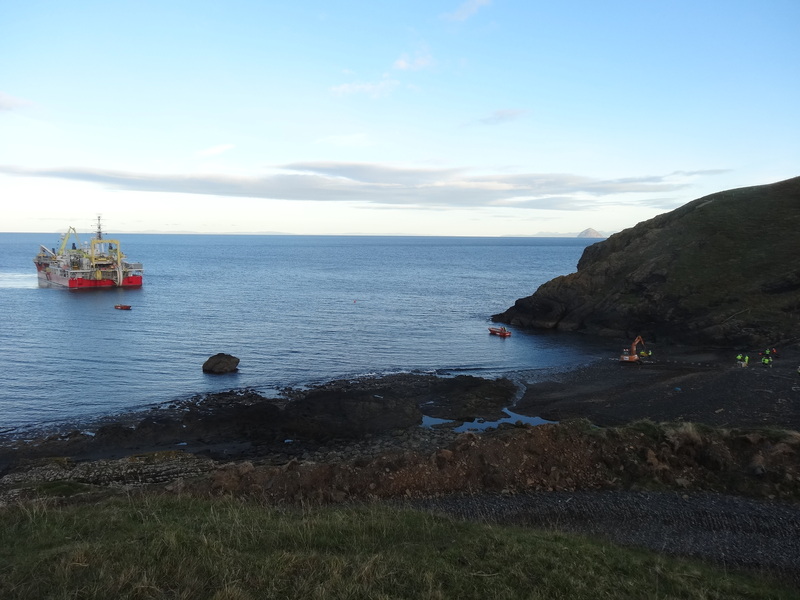 In order to address this, it was agreed with the Utility Regulator to replace the low voltage parts of the Moyle cables in a major project which got underway in early 2015. 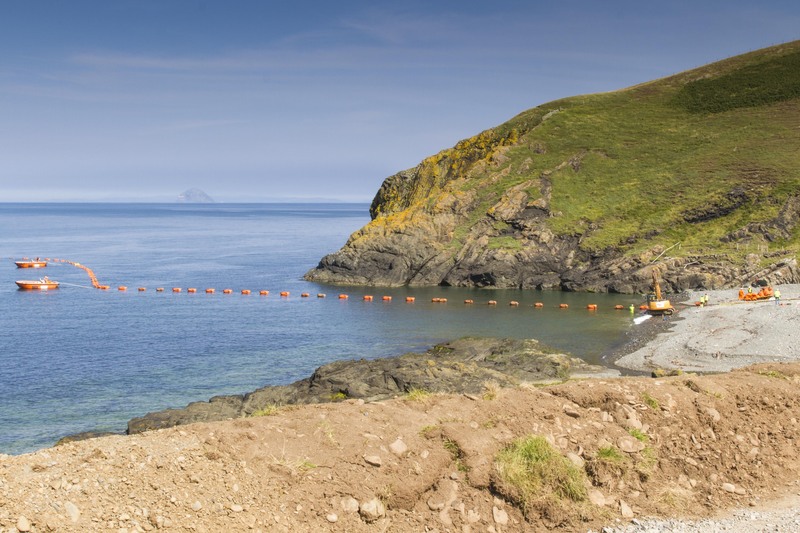 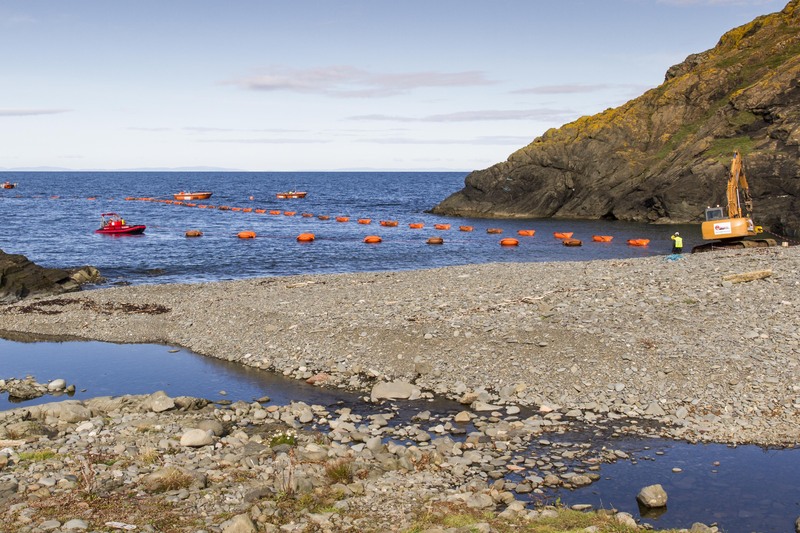 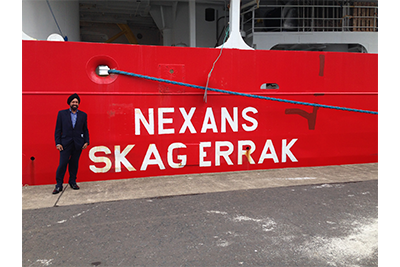 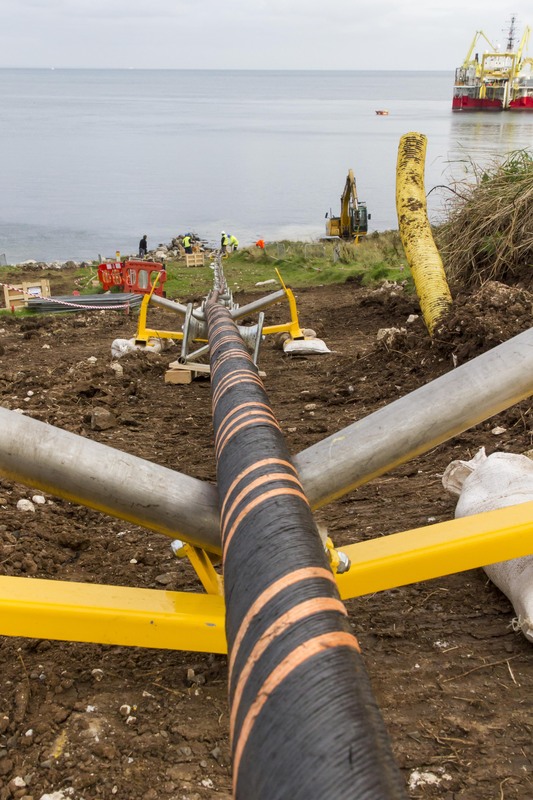 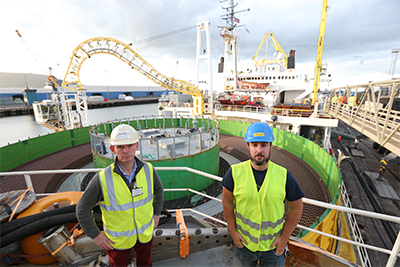 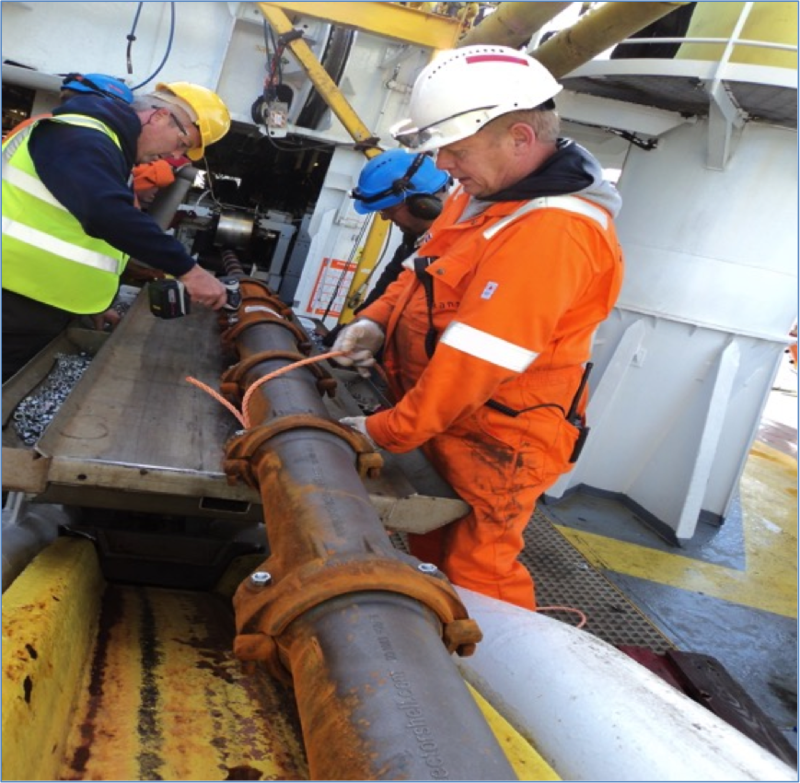 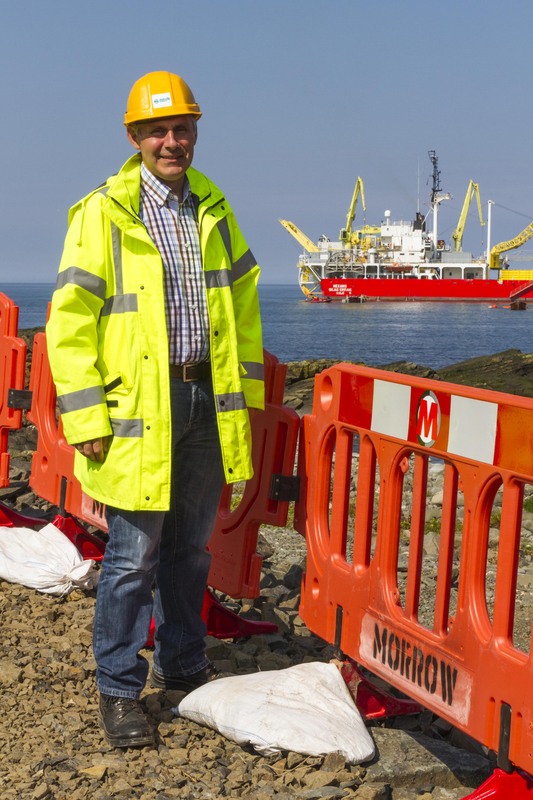 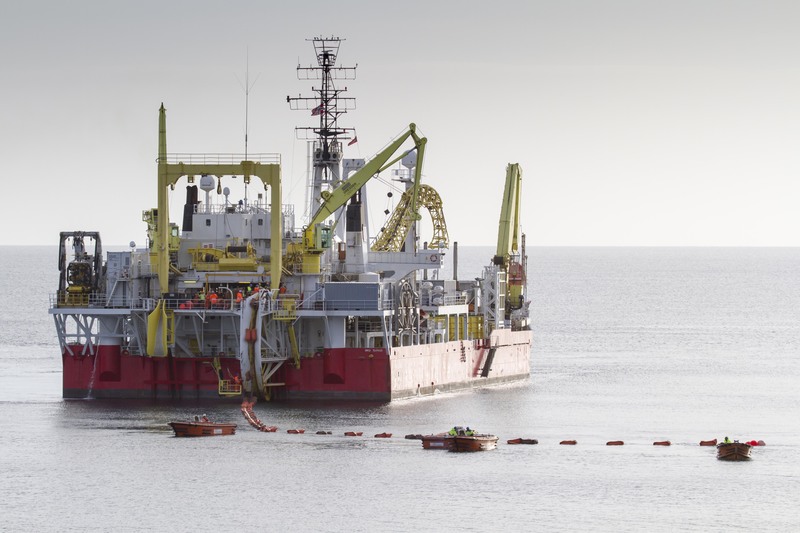 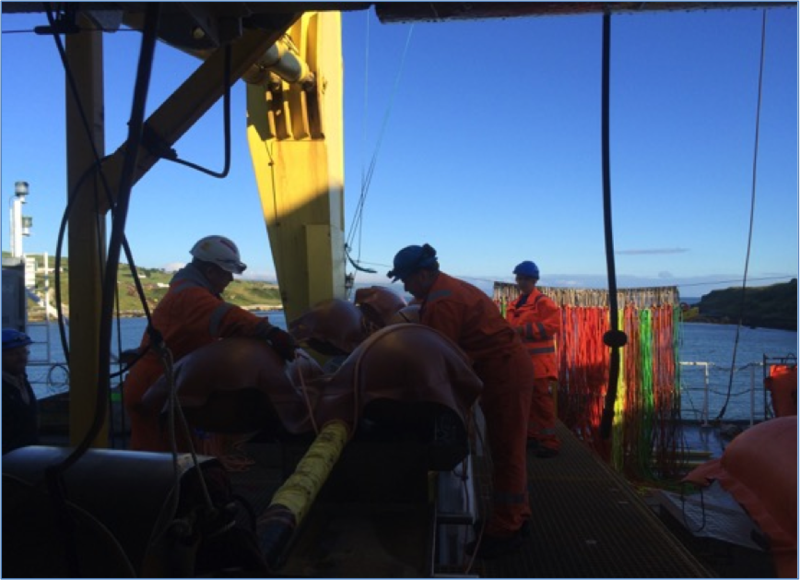 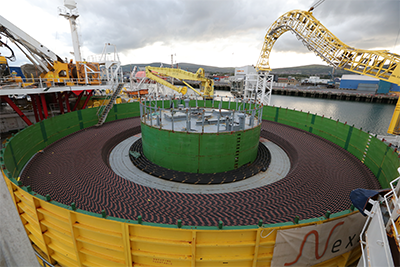 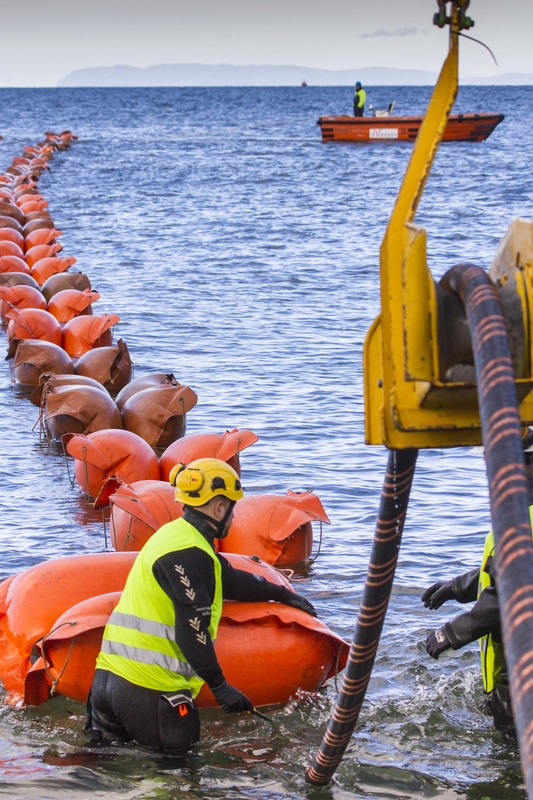 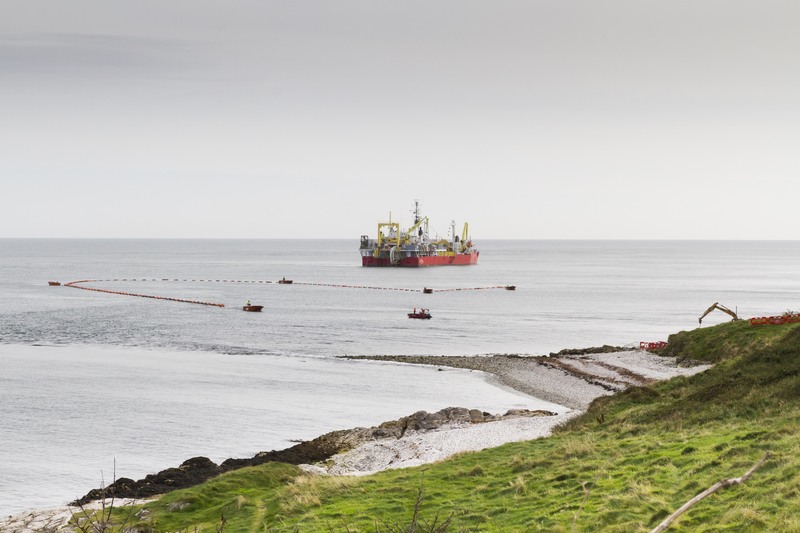 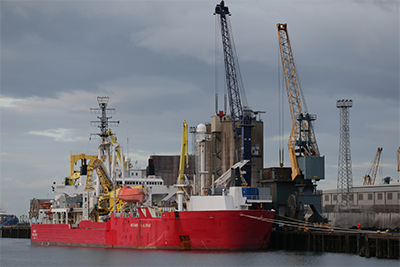 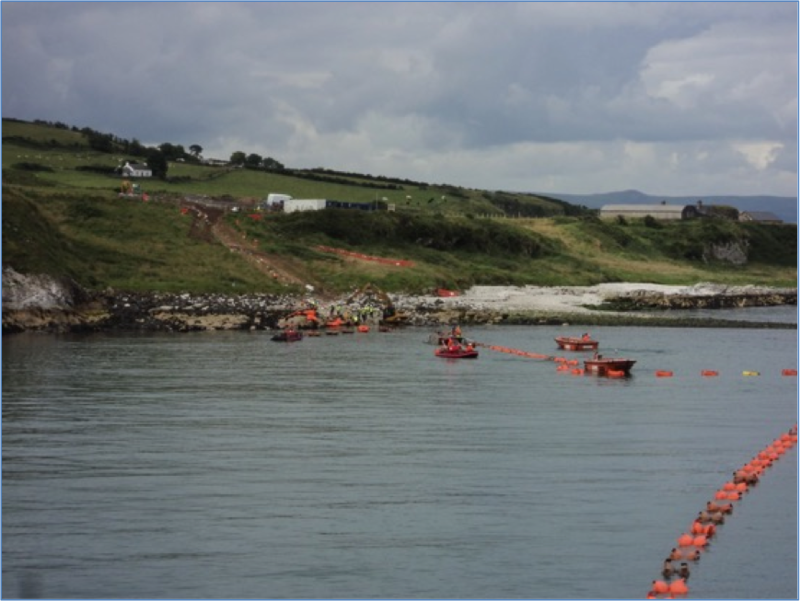 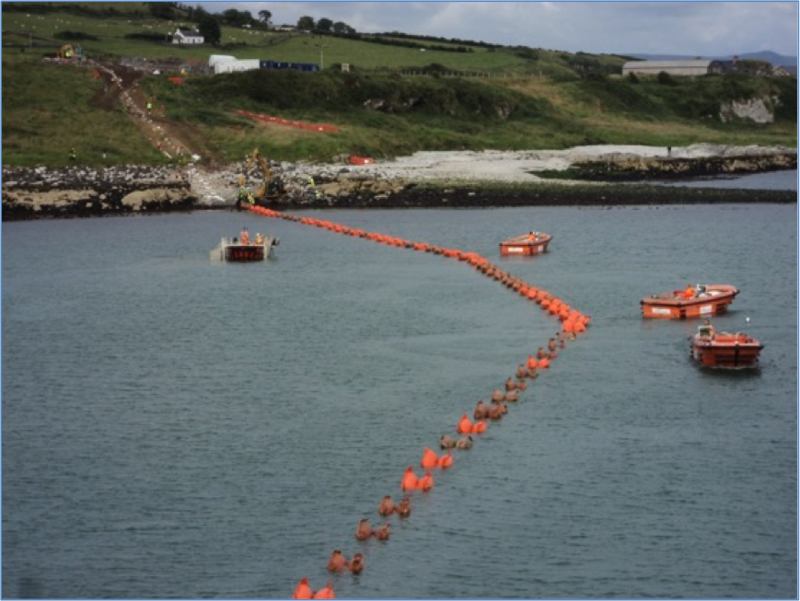 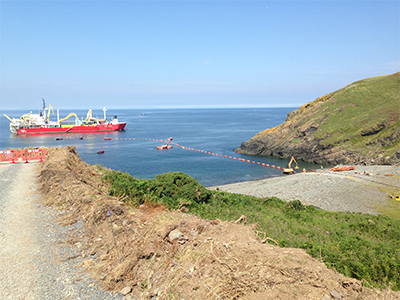 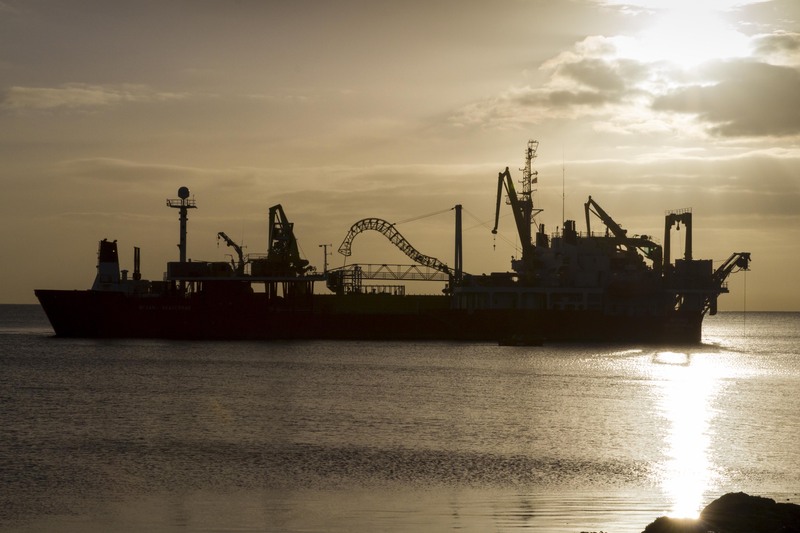 A contract was signed with Norwegian manufacturer Nexans for the manufacture, installation and commissioning of the replacement cables which would increase the stability and flexibility of the Northern Ireland electricity system, as well as providing enhanced security of supply. 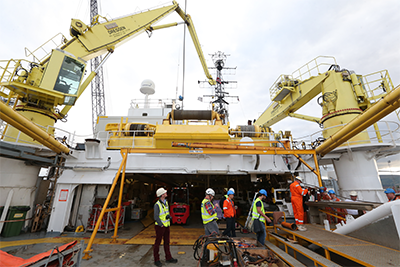 The project, which had considerable engineering, commercial and management challenges, was completed on time and well within budget. 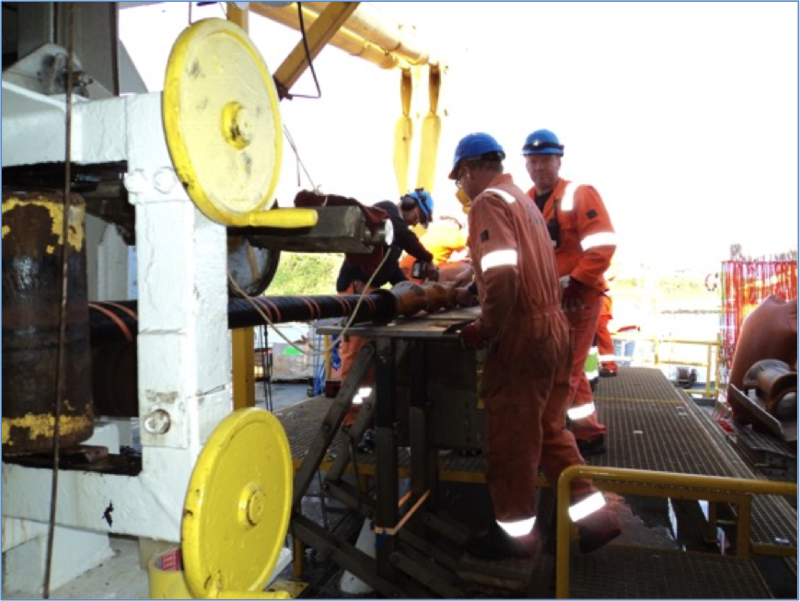 With over 250,000 man hours worked there were no lost time accidents, reflecting Mutual Energy’s strong commitment to health and safety. 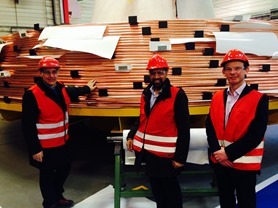 First conductor layer of Moyle cable prepared for extrusion at the base of the extrusion tower in Nexans factory, Norway. 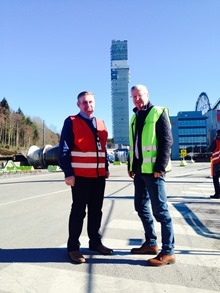 Paddy Larkin, Chief Executive, Mutual Energy with Knut Stenseth, Deputy Project Manager, Nexans pictured in front of the extrusion tower at the Nexans factory, Norway. 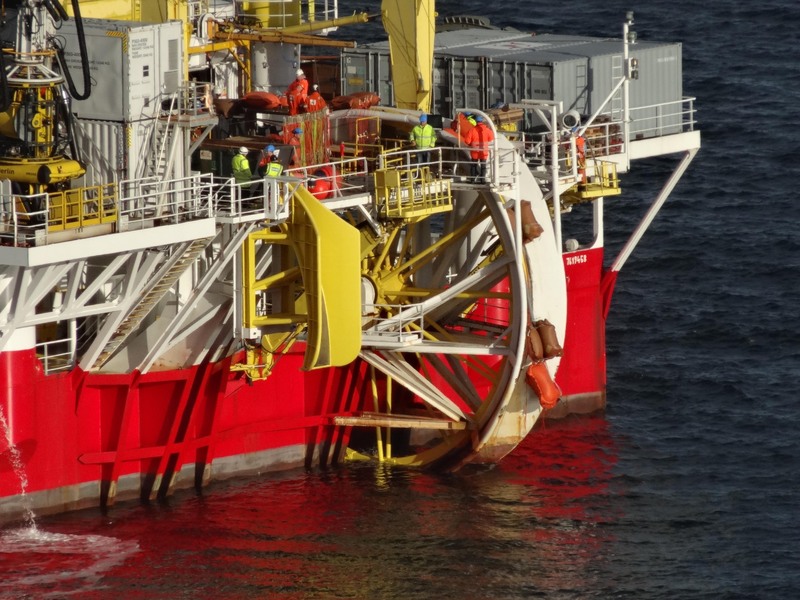 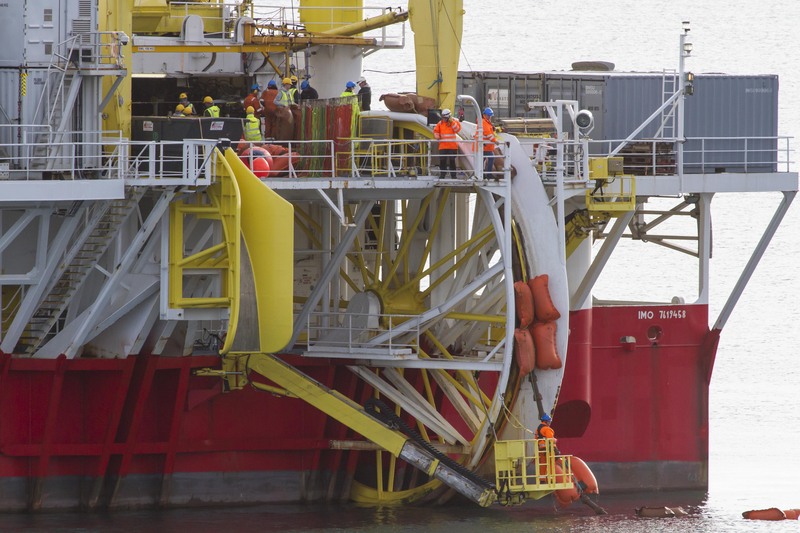 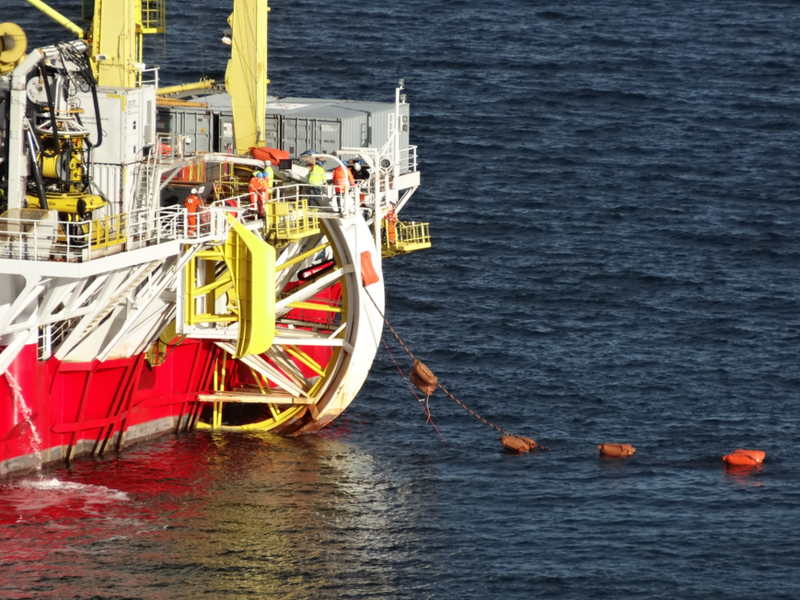 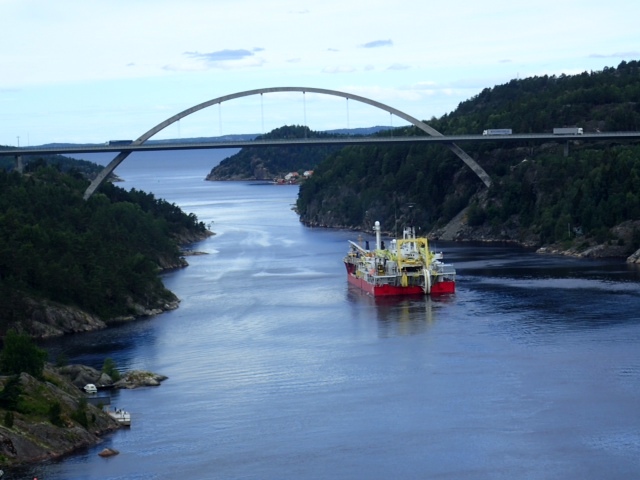 Repair vessel Skagerrak leaving Norway with the north cable on board, July 2015. 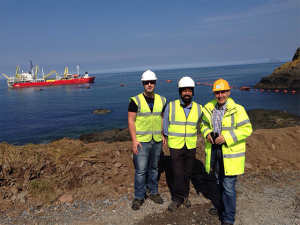 Mick McGuckin, Gurpal Ghotra and Paddy Larkin.